Hundreds of dead sea turtles have been found floating off El Salvador's Pacific coast, leaving officials scratching their heads as to what caused the massacre. The environment ministry said on Twitter on Thursday that its officers "found between 300 and 400 dead sea turtles floating around seven nautical miles (eight miles, or 13 kilometres) offshore from Jiquilisco Bay." Most of the animals were decomposing when they were found, the ministry said, without giving their species. "We don't know what caused the sea turtles' death," the ministry said, adding that laboratory tests would be carried out. 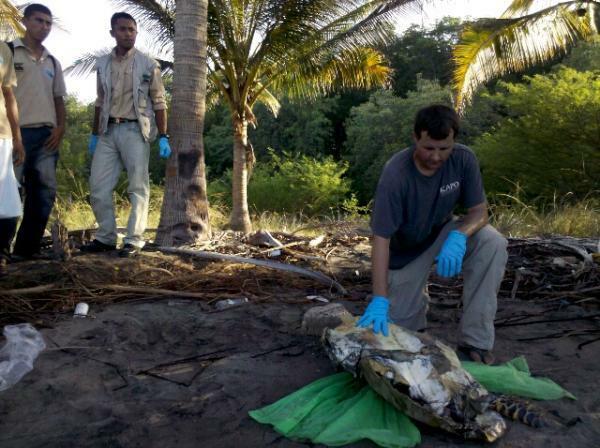 The discovery recalled a similar find in 2013, between September and October, when hundreds of sea turtles were found dead off El Salvador's coast. Authorities at the time attributed the cause to toxic algae eaten by the turtles.